Here's my first of 3 planned builds for this group build. 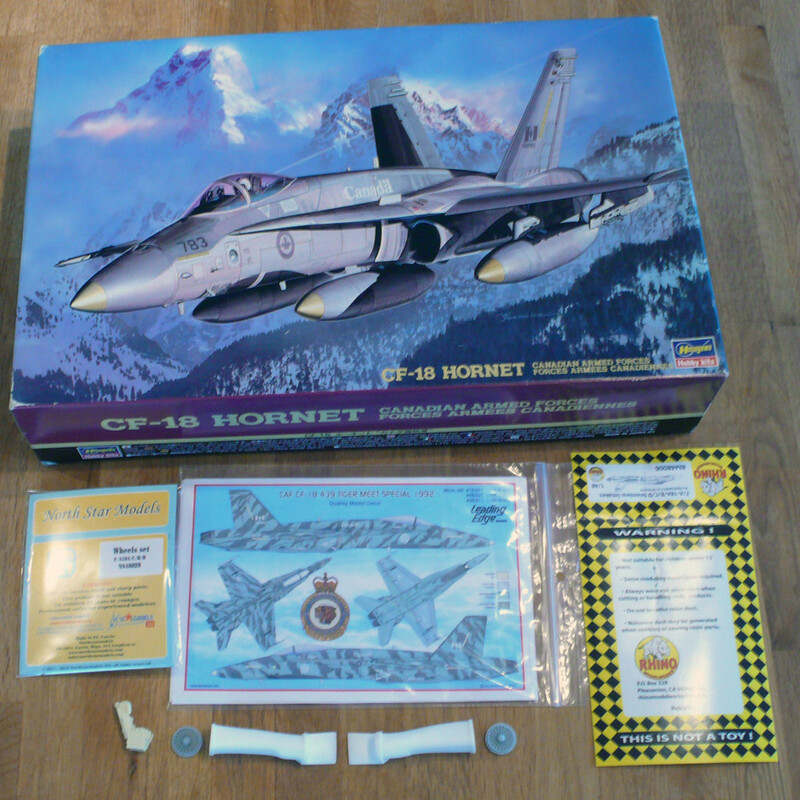 The kit is the original Hasegawa 1993 issue of the CF-18 Hornet . The decals are Leading Edge #48.037 CAF CF-18 439 TIGER MEET SPECIAL 1992. Other aftermarket items are a set of Rhino seamless intakes RM48006, North Star Models wheels NS48029 and a resin ejection seat from Avionix. 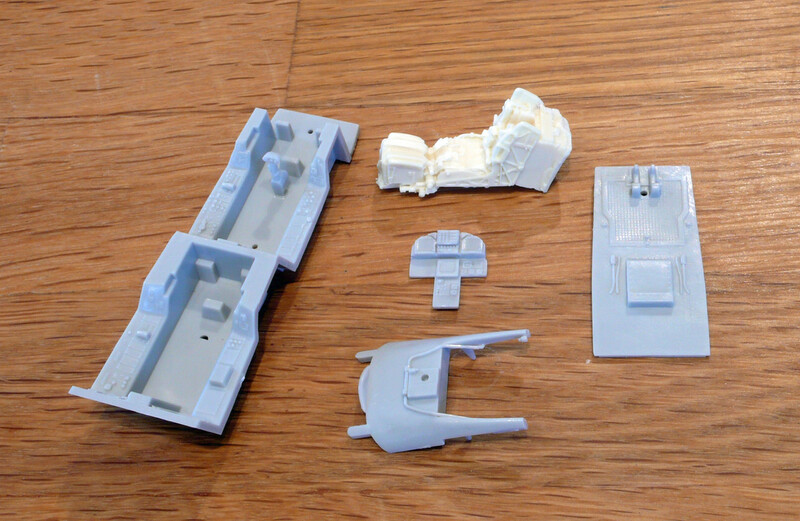 I plan on starting some of the cockpit and sub assembly work today and tomorrow. You sure picked a tough scheme to do, John. Lots of decals, but it looks great when done. You may consider using a decal treatment; older Leading Edge decals have shattered on me before (especially CF-18 tail numbers, etc). I love that box art. 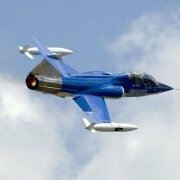 433's first airframe (we were issued 783 through 792, plus 924). The tendrils of mist with the mountains reminds me of flying around Bagotville in marginal weather at 100' AGL. But of course, the Tiger scheme brings images of Bierfests around Baden - even more fun! I have the very same kit and decals sitting in the to-do pile.... I'll be following along to see how things go with this one. I am actually considering maybe doing that 1991 scheme in decal form..... Maybe. Thanks for the heads up on the decals. 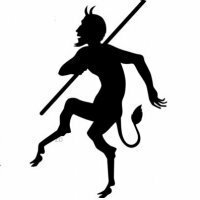 I've run into troubles in the past with LE Decals as well. I'll be doing a test on these to make sure they are up to the job. I bought these decals directly from Dave here in town so hopefully they are a newer batch. 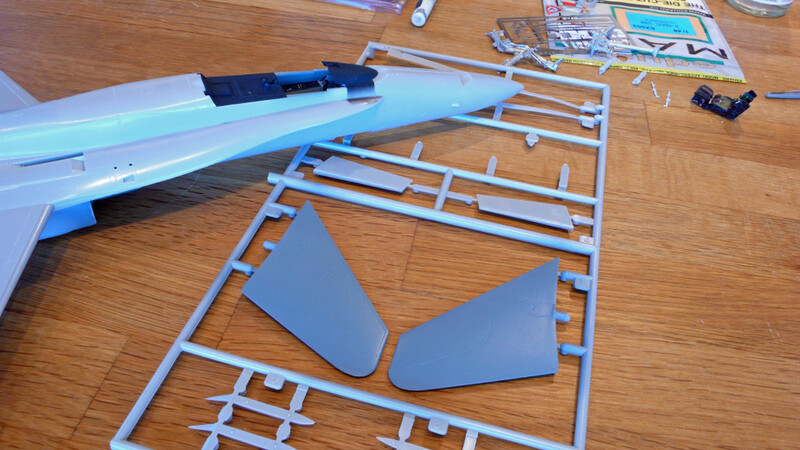 The set I used recently for my CF-104 group build were very strong with no cracking at all. 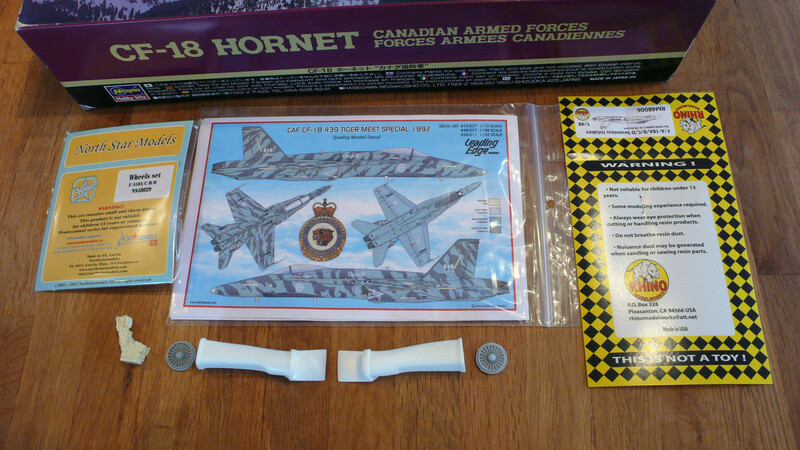 The 417 colour CF-104 I built needed 3 sets of decals to complete the job. They were a nightmare. Quick update here. The New Year is always a busy time for me so workbench time is lacking a bit. My wife and I are off to Oahu on Friday for 9 days so this will probably be the last building I do until early February. Then I have to finish a CF-104D for the StarFish group build prior to March 1st before I really dig into this one. Anyway, here is what's done so far. 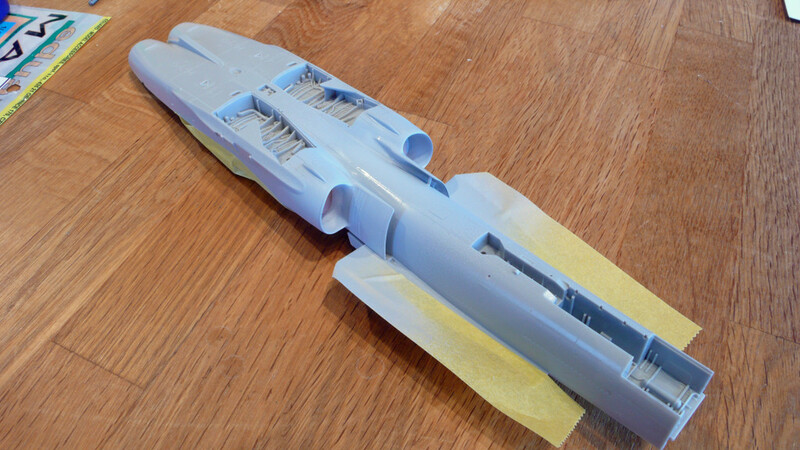 The intakes are fitted and glued into place. 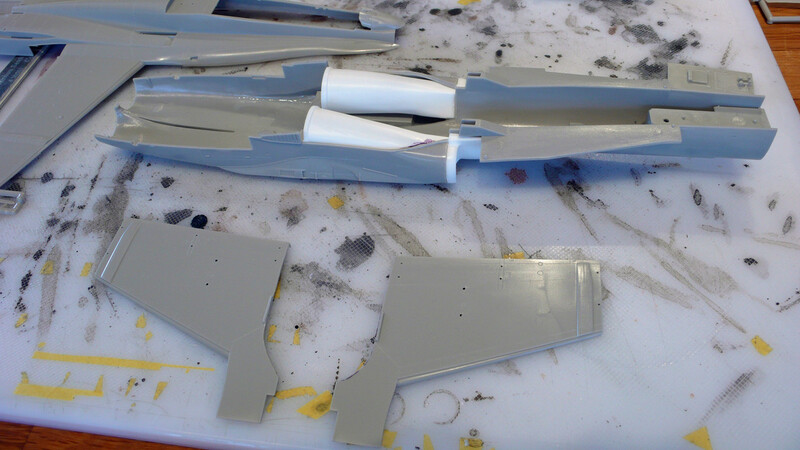 The nose, pylons and pylon tanks are glued together and waiting for some seam and panel line cleanup. The Rhino intakes fit real nice but are slightly short. Looks like Sierra Hotel will get this correct when they release theirs. Other than the length the intakes are real nice and will only require a small bit of filler and final sanding to fair them in. John, looking tight. One question if you please. 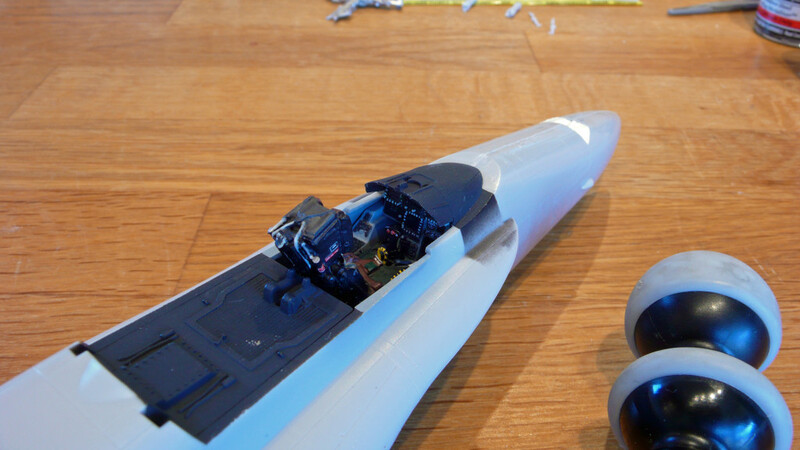 When I used the Rhino Models intakes on my Super Hornet, I had a pain of a time trying to mask of the inside where it goes from grey to white. Is it the same on legacy Hornets, and if so, how do you plan to mask it off? 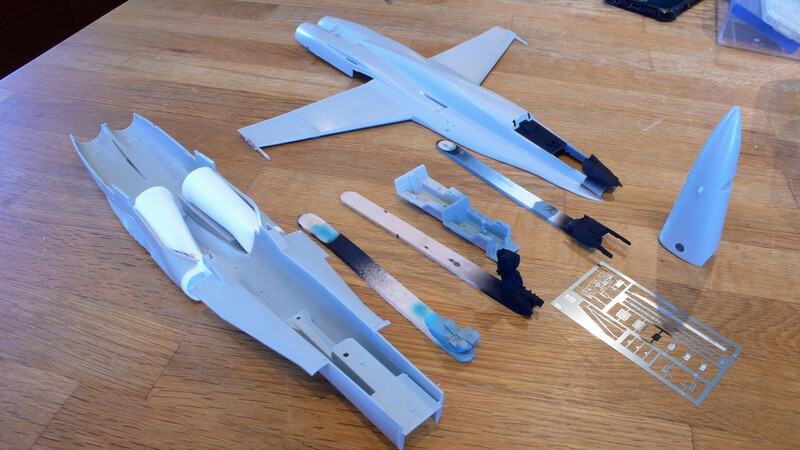 Keen to hear your ideas as I'm hoping to resurrect the Super Hornet for the Shelf Queens GB. 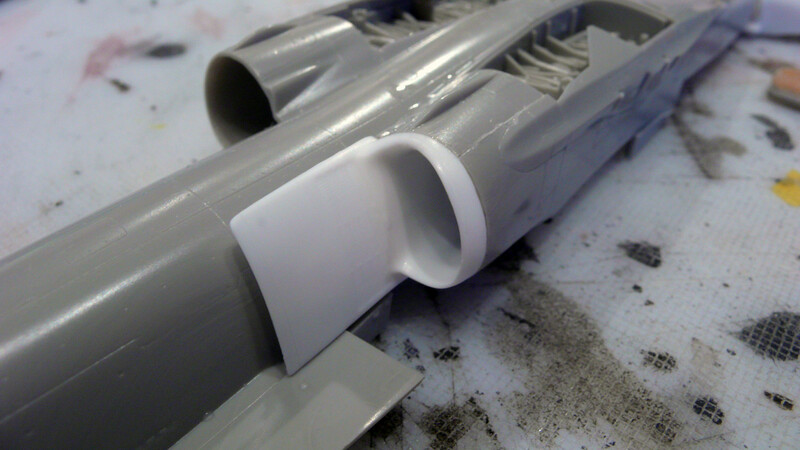 The easiest way I found, at least on smaller round intakes like this, is to use a foam earplug to mask the intake. 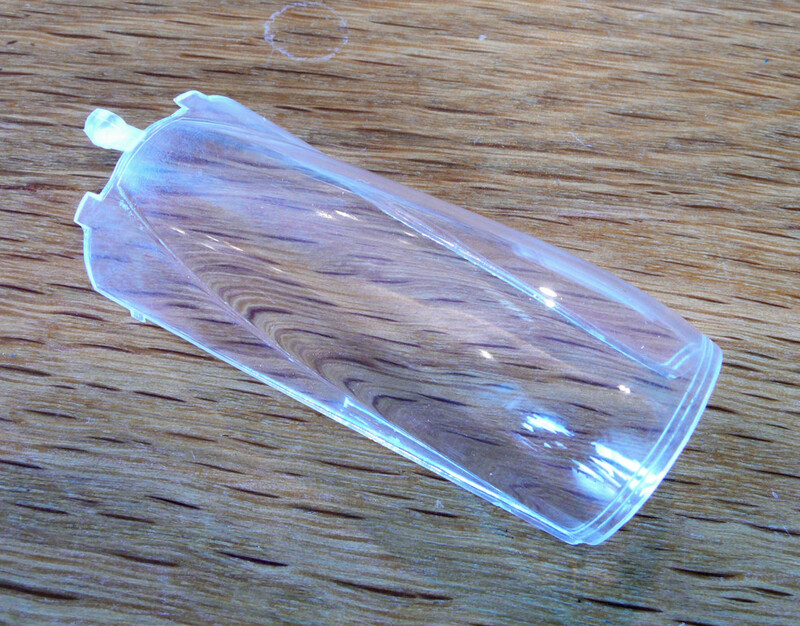 I use ones with a flat top so when it expands it forms a perfect symmetrical seal. 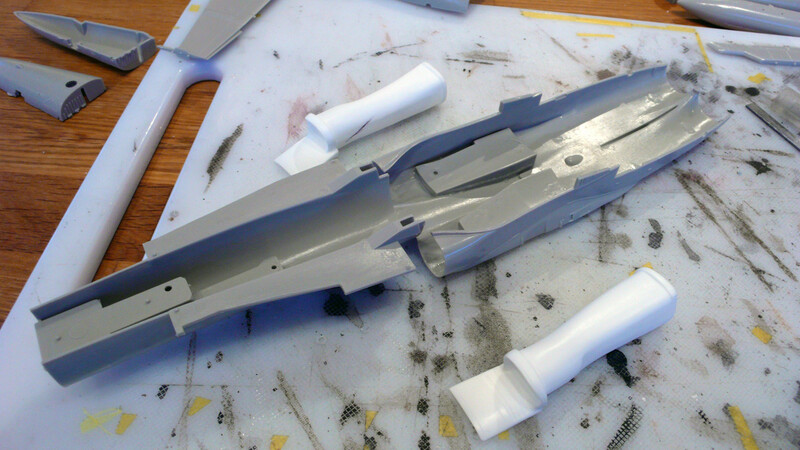 I plan to paint and weather the intake before I glue the engine compressor face in place. 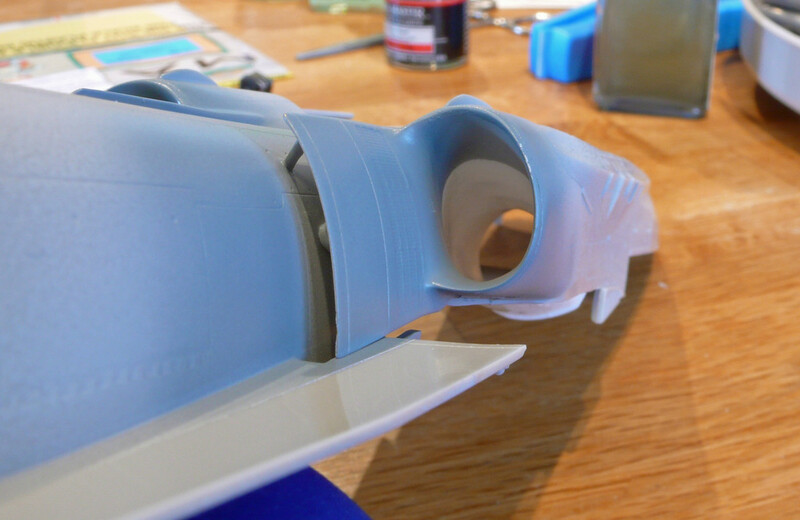 On larger intakes I just use narrow strips of Tamiya tape to make the demarcation and then use foam to keep overspray from getting into the intake. The tape method is a bit tedious but I think it works the best on unsymmetrical intakes. Thanks John! 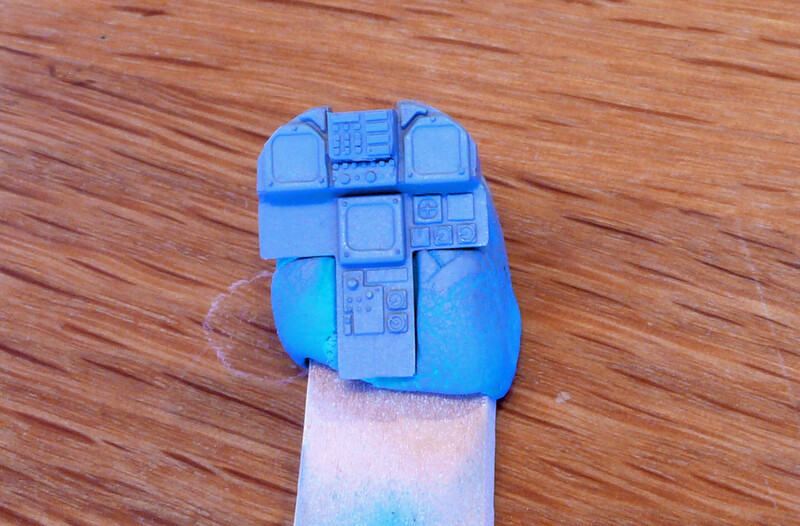 I tried the foam that you get in Aires resin packs but I couldn't get a nice clean demarcation line. 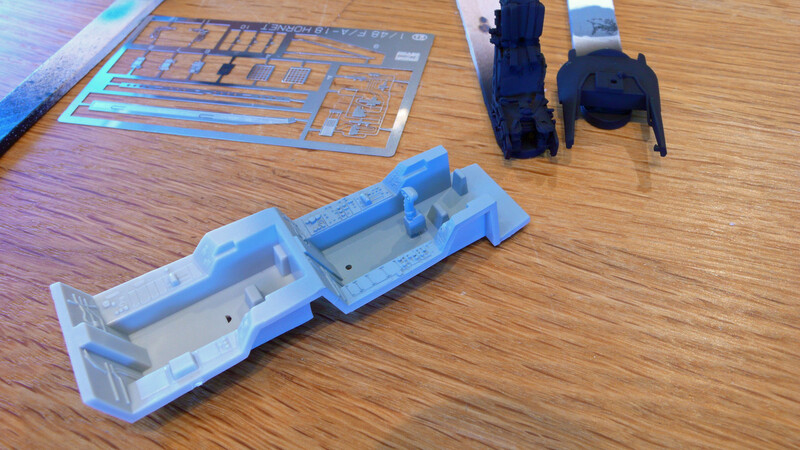 I also tried Tamiya tape but that was a total disaster especially trying to get it consistent in both intakes, but I can see why it would be the best option...more patience and practice is necessary on my part I suspect! Thanks for sharing. Now that the Starfish GB is complete I'm able to get some progress going on this kit. 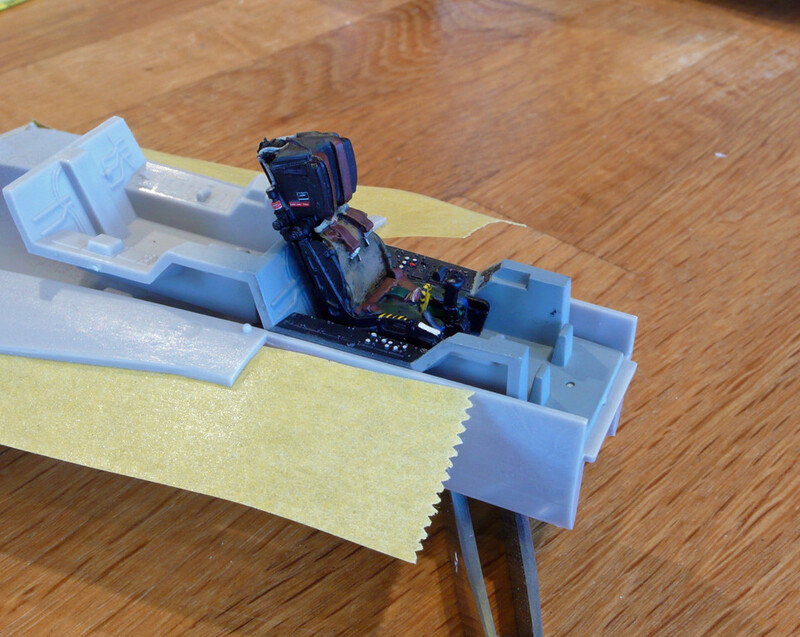 Just finishing some of the sub-assemblies and am about to start painting the cockpit. The 'pit is OOB but with a resin seat. I plan on having the canopy closed for this one. 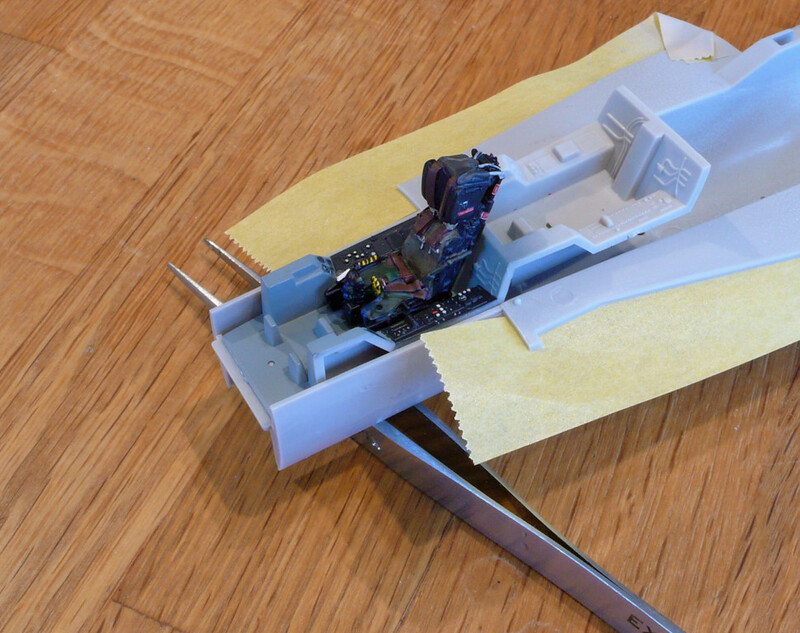 I have the lower wing skins trimmed for the Rhino Modelworks intakes. Just some minor fit issues that I need to address and things should start moving along quickly. Nice to see your hornet making some progress! Great! Resin bang seats are almost a must today, you can see the details even when the canopy is closed! 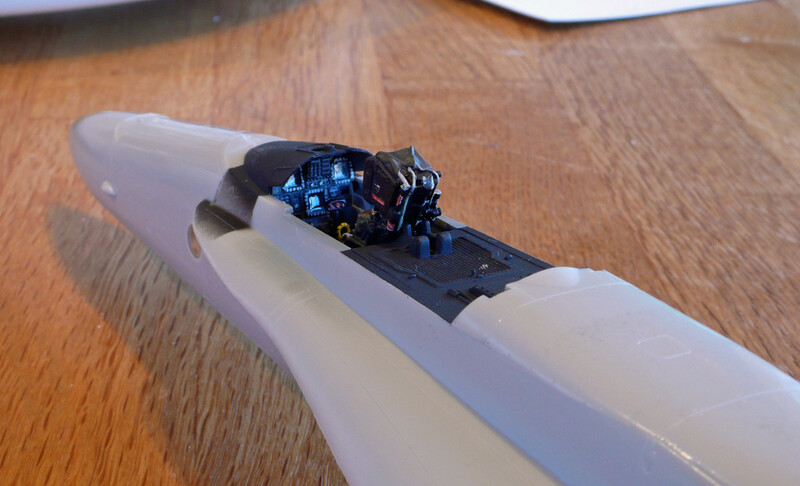 Got the pit and the main instrument panel to the point of painting the black panels. 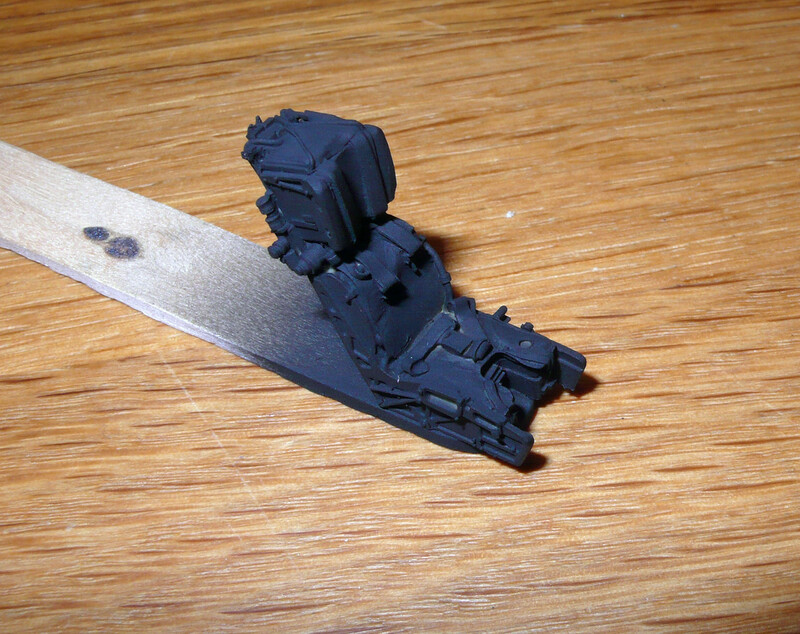 The other bits were painted black and awaiting detailing. There was some minor assembly today but I hope to have the pit ready for install tomorrow. 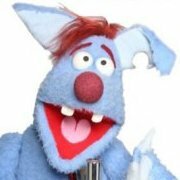 Isn't that you in the cockpit, ALF? I can't tell because of the way the canopy frame blocks the pilot's face. Good luck with the decals John. 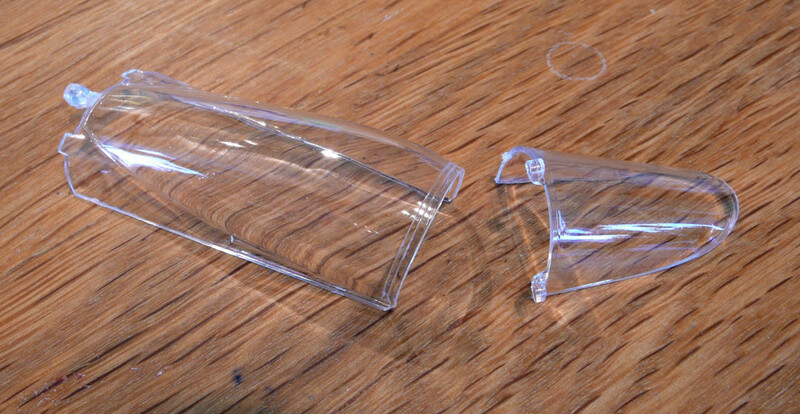 The design makes them look like they'll be a bit difficult to apply, let alone having to deal with tears, rips and shattering. Sounds like you've had some issues with Leading Edge decals as well. 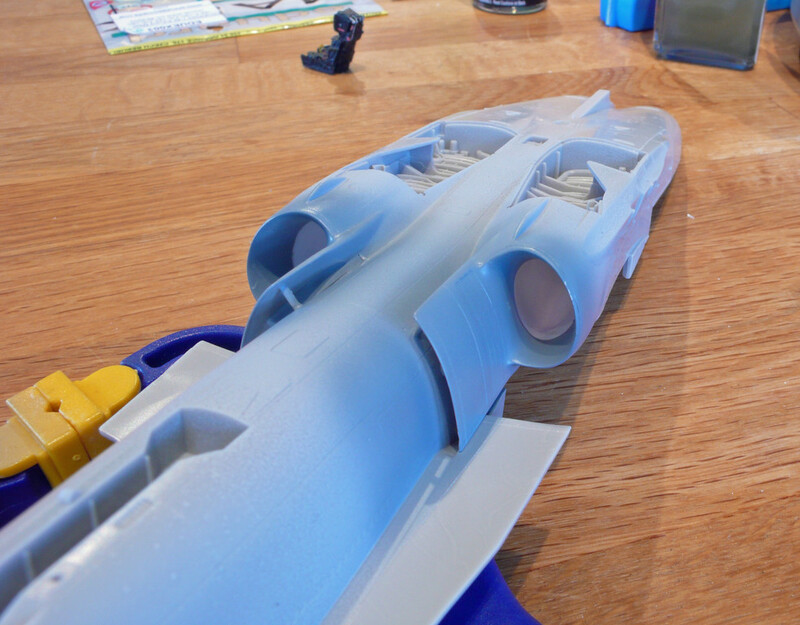 :o/> I've had a few decal sets where they just completely shatter as soon as they hit the water so I'm thinking of spraying some liquid decal film on the sheets just to keep the shattering down to a minimum. I did have issues with a few Leading Edge decals. 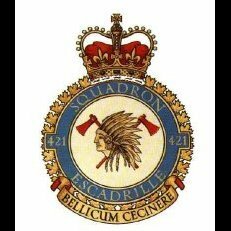 Shattering problems with the front part of the toothbrush of the 421 Sqn markings, numbers from a 1 Wing Sabre set and the Golden Centennaires set. Now I use Micro Mask Liquid Decal Film. I've used Future before but I prefer the Micr Mask product. just a personal thing. Smart move using a sealer though. 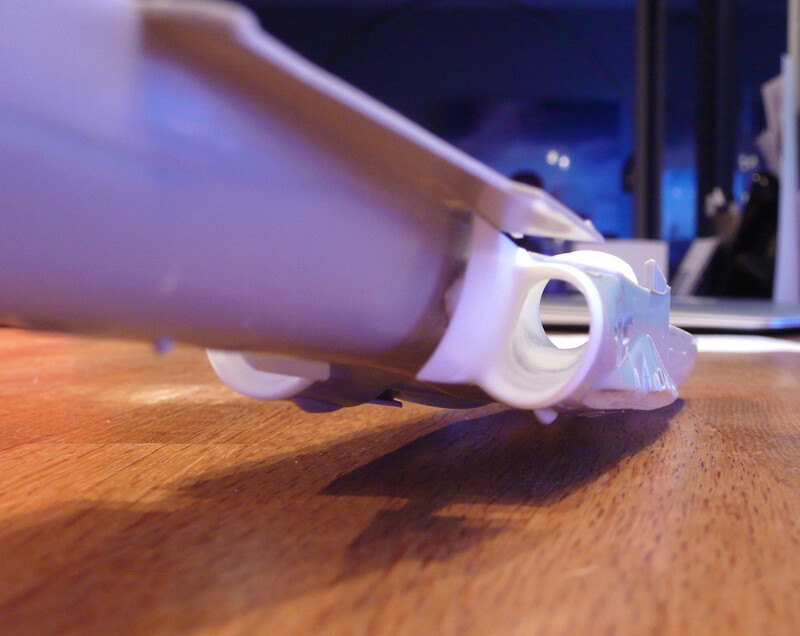 The product I've used is Microscale Liquid Decal Film, which sounds very close to what Mike uses. On some 15-year-old CAF Boeing 707 decals that were long OOP (and which Dave Koss scrabbled together after I asked him if he had any left-overs), I slathered the stuff on with a soft brush. Worked very nicely. I like the detail on that seat, John. 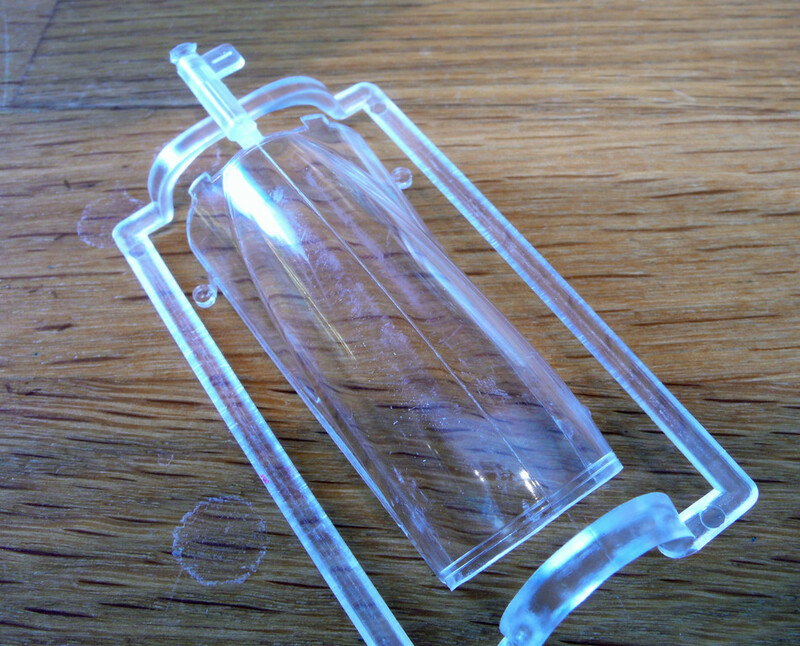 I'm also going to use the Microscale Liquid Decal Film if the test of this sheet doesn't work well. This is a pretty detailed rendition of the SJU-5/6 seats as installed on USN/US Marines Hornets. Too bad there has never been a release of the SJU-9/10 that was in our Hornets. The full harness would be a nice addition. Almost have the office ready to go. Just a couple touchups on the seat and then a few decals and light weathering to finish it off. 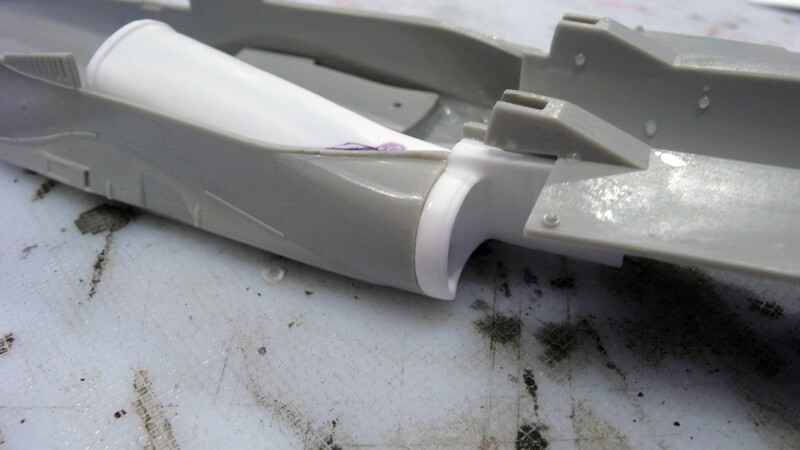 In the mean time I've started work on removing the mold seam on the canopy. 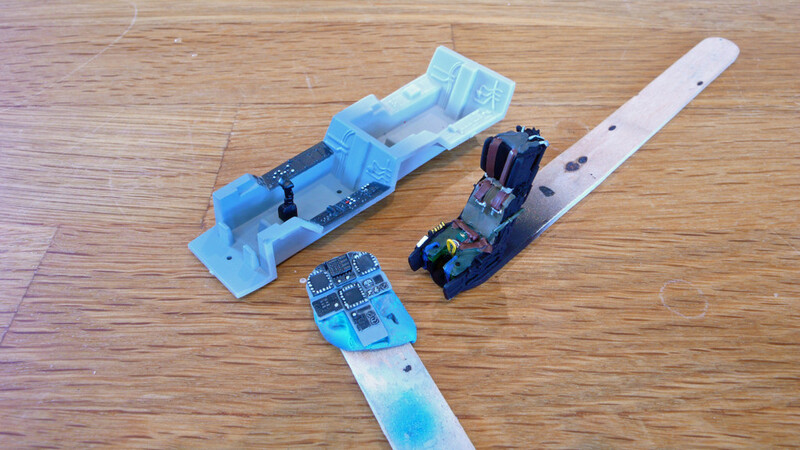 Here's a before and after shot of the canopy mold line removal. 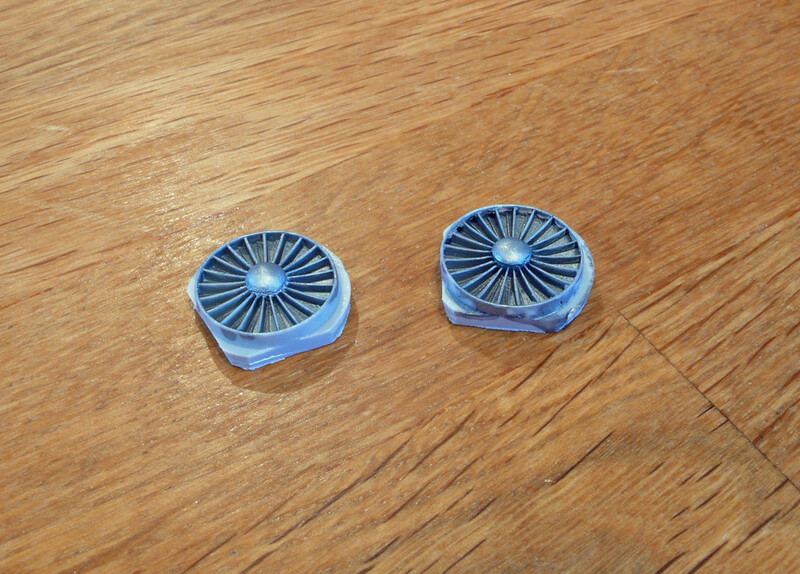 My process has 10 steps and the canopy just needs another go with the Tamiya polishing compounds and then it will be ready for the Future dip. sweet canopy.. i also picked up the same leading edge decals.. couldn't resist even though i'm not a huge hornet fan! Well, finally an update. The weather has been so nice here that it's hard to get into building. Got the intakes done and the fan faces installed. 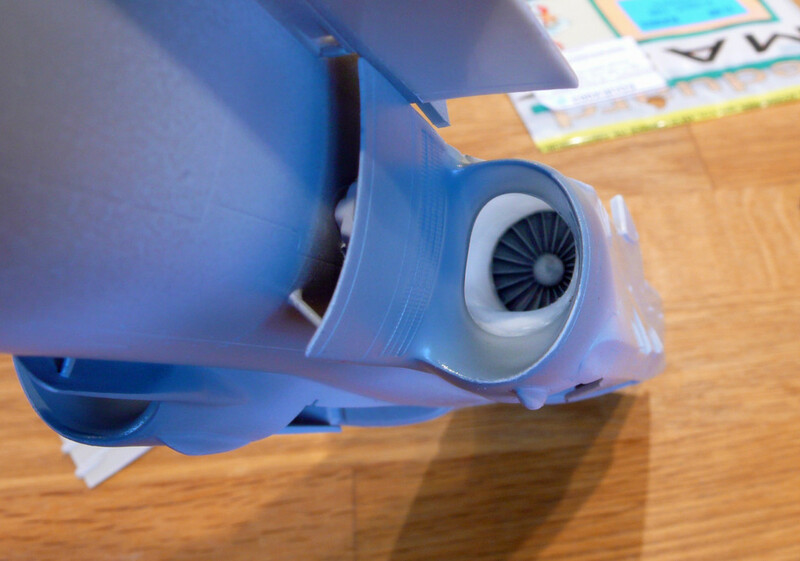 I used foam earplugs inserted into the intake trunks to mask the white. 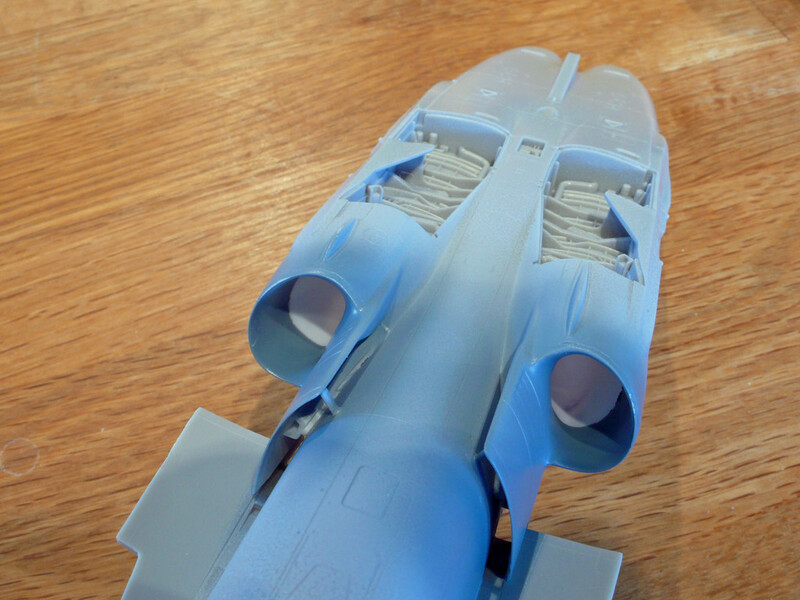 These intakes (Rhino Models) fit pretty good but are a bit on the short side. 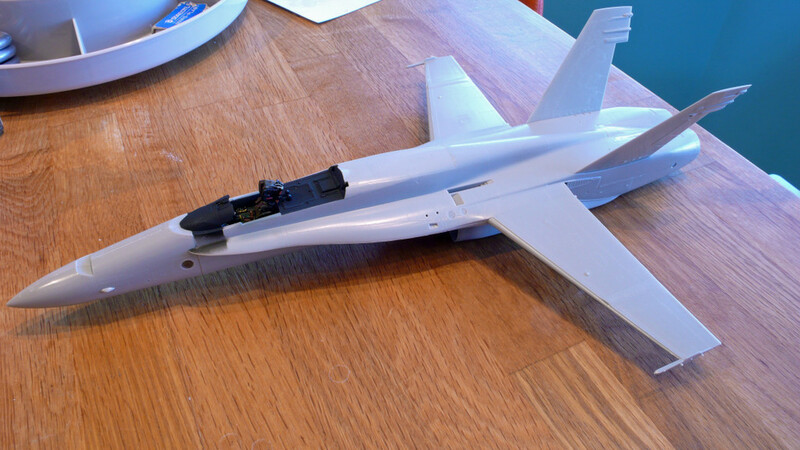 My next CF-18 will have the Sierra Hotel seamless intakes which look real nice and are accurate in length. The overall color for this Tiger scheme is FS 35237 with the tiger stripes being FS 36118. This is a departure from the 3 tone CF-18 but it does look nice. I'm trying a paint that I have never used for the exterior colors. It's the Akan line of paints. So far they seem to have very fine pigments and airbrush similar to Tamiya paints but I find they need a bit higher air pressure. The Akan paints stay a bit green longer than the Tamiya paints as well which means a little longer drying time. Final update today. Lots of visual progress. The Akan paint sprayed on very well but it is taking longer than I'm used to for an acrylic to cure. It's still a bit tacky. I'll see what it's like in the morning. It's possible I used too much thinner so some experimenting might be in order to get comfortable with this paint.